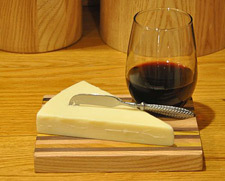 My Cheese Boards are made from laminated hardwoods. I include a variety of woods such as Black Walnut, Red Oak, White Ash, Black Locust and Osage Orange in their construction. 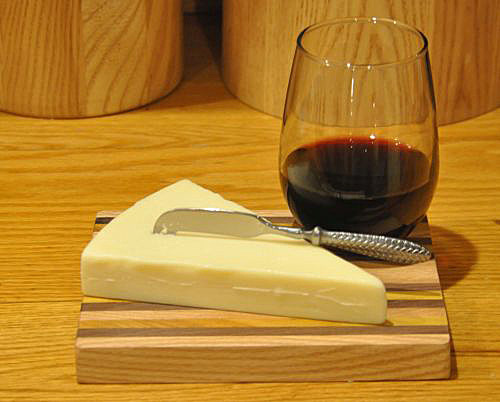 Included is a stainless-steel cheese knife that slips into a convenient opening at the end of the board and is held in place with a small hidden magnet. 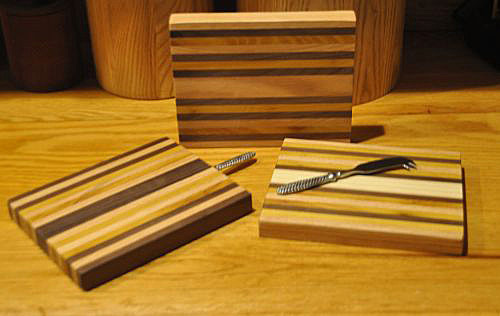 The boards are approximately 7" long by 6" wide and about 3/4" thick. They make excellent unique gifts!